At Champion Performance Chiropractic Rehab, we develop goal-driven rehabilitation programs providing extensive patient education on proper biomechanics for efficient pain-free movement. Our staff of trained professionals is experienced in providing top-notch care to competitive athletes, weekend warriors, and the general public alike. Our goal is to return you to your sport or activities of daily living fitter and stronger than before you were injured by using a combination of the following methods. Chiropractic care is used most often to treat neuromusculoskeletal complaints, including but not limited to back pain, neck pain, headaches and pain in the joints of the arms or legs. Chiropractic is a health care profession that focuses on disorders of the musculoskeletal system and nervous system, and the effects of these disorders on general health. Chiropractors practice a drug-free, hands-on approach to health care that includes patient examination, diagnosis and treatment. Chiropractors are like other healthcare providers—with the most skilled able to utilize a variety of methods in response to people’s healthcare issues. At Champion Performance Chiropractic Rehab we use an array of chiropractic techniques and supplementary modalities to treat pain and injury. We also accommodate those who prefer gentler non-force chiropractic manipulation. After an injury tissues heal, but muscles learn. They readily develop habits of guarding that outlast the injury. Restoring your life back to normal following an injury, surgery, or a painful condition requires a thorough examination, accurate diagnosis, comprehensive treatment plan, and specific rehabilitative exercise program. Correcting any major muscle imbalances before beginning a higher intensity exercise program is vital for success. Muscle imbalances produce faulty movement patterns and prevent your joints from aligning and functioning properly. This can put you at greater risk for injury, chronic muscle pain, and joint pain. At Champion Performance Chiropractic Rehab, we develop goal-driven rehabilitation programs providing extensive patient education on proper biomechanics for efficient movement. We also provide individualized training programs for all levels of sport to maximize potential and reduce the risk of injury. 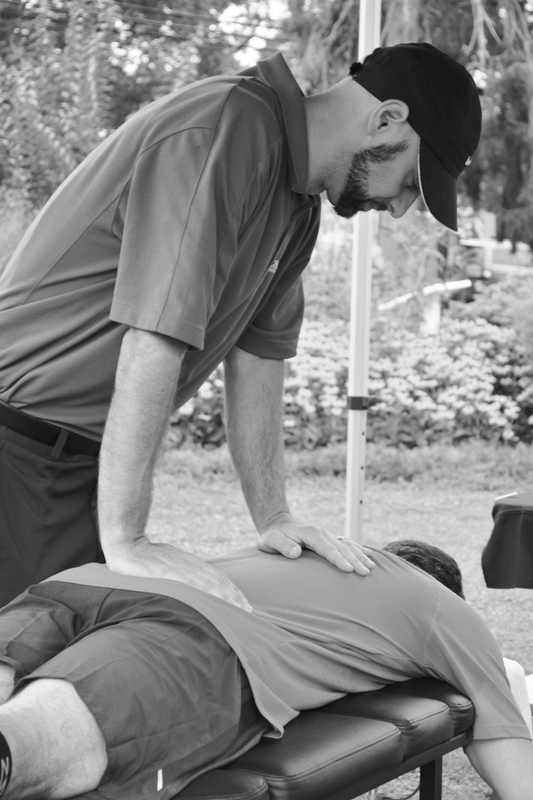 These treatment protocols – over 500 specific moves – are unique to ART. They allow providers to identify and correct the specific problems that are affecting each individual patient. ART is not a cookie-cutter approach. Click here if you'd like to learn more. Kinesio Taping is an innovative taping technique that is designed to facilitate the body’s natural healing process. It is used to complement other types of treatment – like sports rehabilitation, Active Release Technique, and massage therapy. The tape is wrapped over and around your muscles to assist them, provide them with support, or to prevent them from over-contracting. Because the tape is elastic, it allows for joint or muscle correction with out sacrificing movement. Kinesio Tape can be worn for several days, so it is a helpful adjunct to the rehabilitation process. The goal of manual therapy is to restore the affected tissues to normal function and is combined with therapeutic exercises. Muscle texture, tension, and movement. 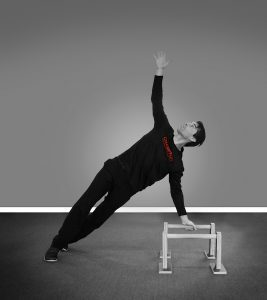 Functional movement patterns like bending, squatting, and twisting to name a few. Improved muscle strength, endurance, and flexibility. Coordinated movement patterns with activities associated with daily living, sports, and work. We offer one-on-one strength & conditioning programs focusing on general physical preparation and if you are an athlete will also include more specific needs for your sport or skill. First we will discuss your goals whether they be general fitness or a more specific goal like finishing a marathon. Next we perform an overall assessment of your mobility and stability (aka coordination). We use a combination of the Selective Functional Movement Assessment (SFMA), Functional Movement Screen (FMS), as well as general orthopedic assessment. That gives us information about any physical limitations we may need to address in your programming. During each training session, there is a heavy emphasis on educating you on general training & movement principles. 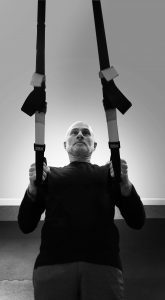 It’s one thing to exercise, it’s another thing to know how to move efficiently and develop an understanding of how to exercise over the long term. To do that you must mitigate injury. Nothing derails your progress like an injury. We strive to educate you on the basic principles of how to move well, develop strength, endurance, flexibility, and generally feel damn good in your own skin. Feel free to give us a call to discuss your goals and pricing. Schedule a free 15-minute phone consult to discuss your goals. We would love to chat with you!